Urban Decay are probably the only brand that I eagerly await for every year to see what they bring out. 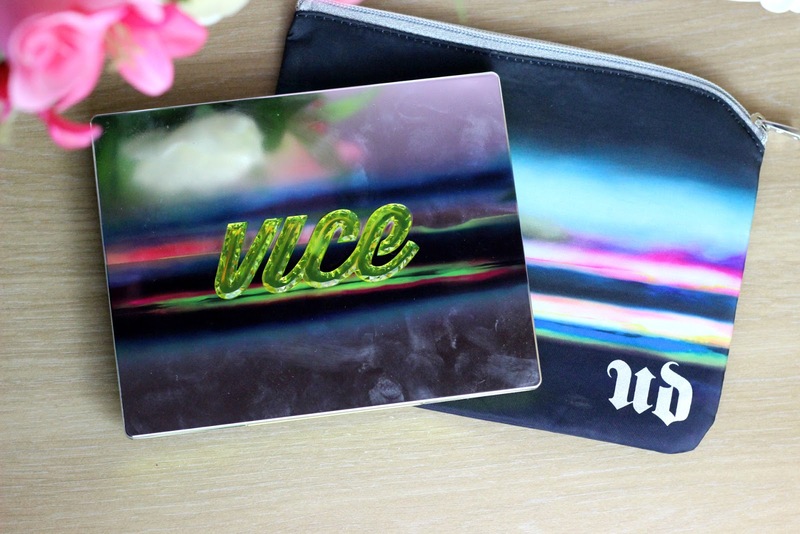 At the end of last year they bought out the Vice 3 palette and I was lucky enough to receive one for Christmas thanks to my brother and I thought I would give you my thoughts on it. 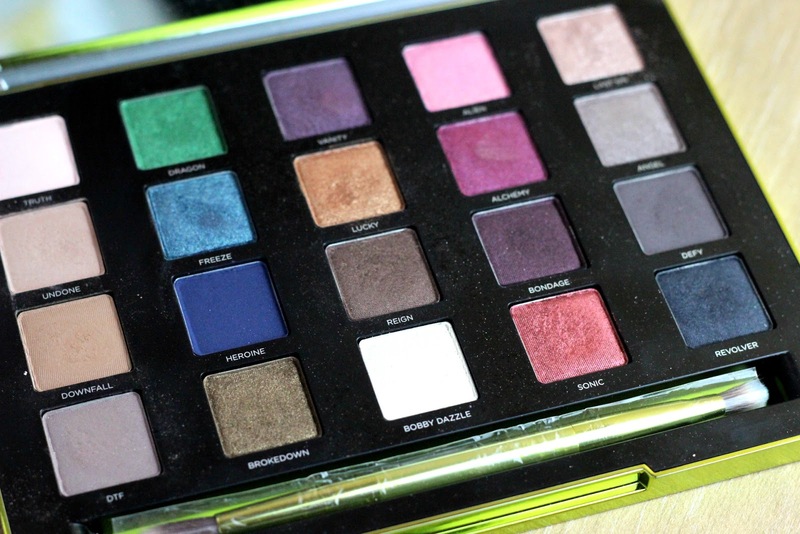 Out of all the Vice palettes this is the one I craved from the very beginning, the palette offers so many wearable shades that I knew I would get so much use out of and since receiving this I have not put it down. 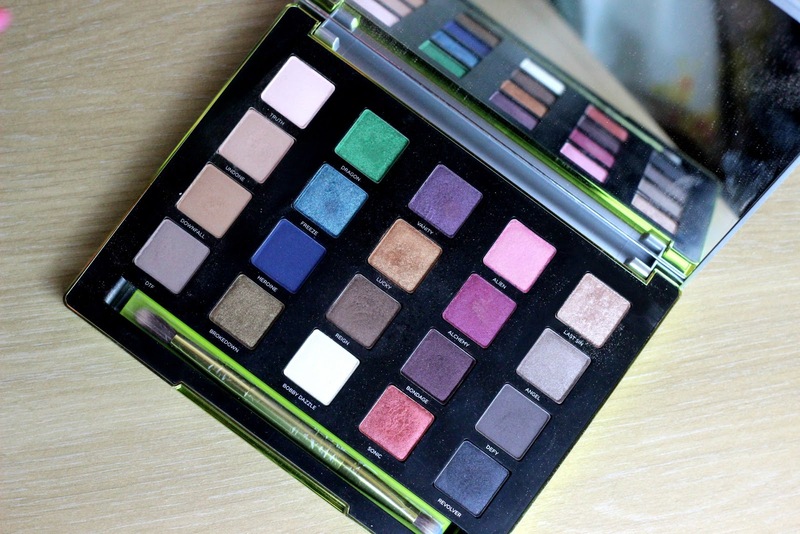 The palette itself comes in a slim case encrusted with a lime green logo, super eye catching and very sleek. It also come with a duo ended brush which is perfect for packing on colour and blending out colour. Inside contains 20 new edition and super pigmented eyeshadows and the whole thing can be transported in a matching bag which can also be used as a makeup bag. Design wise I am loving this, it fits nicely into my drawers and isn't too bulky so it can be used for travelling, extra bonus it contains a huge mirror. The palette shades range from neutrals, jewel tones and smokey shades. There is something here for everyone and its defiantly a palette that can be used for multiple looks. All the shades are pigmented and great quality. The palette does come with numerous matte-ish shades which is a little different for Urban Decay but let me tell you those mattes come in very handy blending shades out and creating the perfect crease. Staying power is amazing as like all other UD shadows and as always they are super buttery and easy to work with even the more jewel toned shadows. Stand out shades for me would be Sonic, Downfall, Lucky, Undone, DTF, Reign and Last Sin.